Skiing is Tyler Carter’s life. 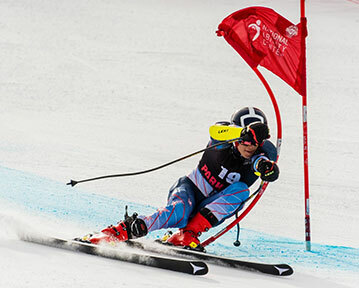 The para alpine skier and two-time Paralympian started skiing when he was eight as a below the knee amputee, having lost his leg at the age of one after being born without a fibula. Tyler now prefers the giant slalom and Super-G because those events involve the most speed…he sees freedom in being able to go 65 miles per hour down an icy racecourse. But he also regards skiing as a full-time career. 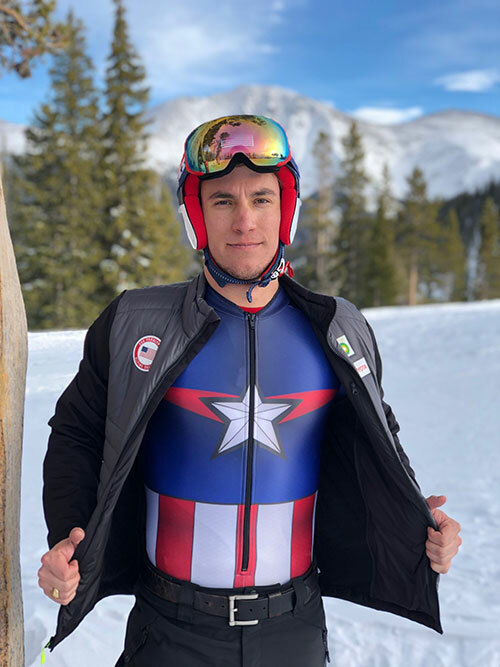 He travels and competes continually through the winter before moving to a summer routine that includes hours in the gym every day, dry land training, and ski camps around the world. Even having just returned from an injury and months away from competition, Tyler is physically and mentally drained from the never-ending routine of training and the ongoing stress of wanting to get a result or perform well. 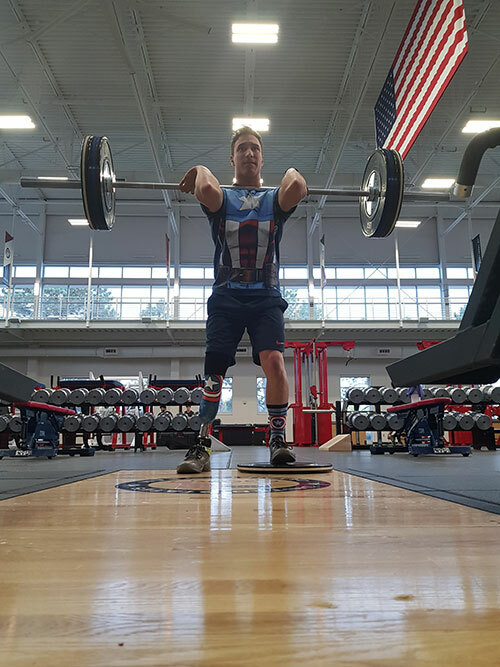 Recently, Tyler took some time to speak with USADA about how he approaches competing clean and cannabinoids as a busy Paralympian based in Colorado. Question: So as an elite athlete subject anti-doping rules, how do you evaluate products that you consume and use to ensure you’re clean? Tyler Carter: Being an athlete and being in the USADA testing pool, I have to know what I’m putting in my body. That’s number one. I’m super careful about anything that would put me at risk… I tend to avoid supplements just because, for me, it’s not worth the risk. But I love protein powder. That’s one of my favorite things to take and I’m super careful about what I do with that. Anything that’s not third-party certified or NSF certified is a complete no, no. Question: You do a lot of training in Colorado, where marijuana is legal now, even though it’s still prohibited in-competition in sport. Has the changed legal status around marijuana changed your stance on using it? Tyler Carter: No change for me. I made the choice a long time ago that I don’t intend to ever use it and the fact that it’s legal…for me, it’s still not worth it. It’s not worth the risk. harder to resist despite the risks? Tyler Carter: I’ve always been pretty set on my beliefs, my philosophies. As long as I know personally I’m not doing anything wrong, then that’s okay if someone else has an issue with it. That’s their loss. I know what works for me and I don’t want to put myself or anyone else at risk of anything that could jeopardize our career, training, or competition. It’s just all about taking care of yourself, looking out for what you need to do, and remembering the goal…remembering why you’re here, what you’re working towards. Question: Was there ever a specific moment when you really realized that marijuana or any related product was not for you or that there were risks? Tyler Carter: Well, growing up my parents were very much like, “Don’t do drugs, don’t drink until you’re 21, and follow the rules and all that.” It was kind of annoying at the time, but it ended up being a really good life model because I received a scholarship to go to Vancouver and watch the Games in 2010. Going there and seeing teammates and friends competing… I realized I had to do whatever it takes to get to that point. But whatever it takes doesn’t mean breaking the rules. It doesn’t mean throwing good sportsmanship or integrity out the window. It just amplifies those values, it makes it that much more important. I knew then that every decision I made was going to affect my path, my journey to the Games. And every time I make a decision, whether it’s as simple as to get some fast food or skip a gym session, I consider, “How is that going to affect my journey?” And that’s how I’ve made most of my decisions throughout my career. I don’t always pick the side that’s going to help me, but every time I make a decision, I have to be able to justify it. I have to be able to live with it. Question: Do you think coaches and administrators are talking about this kind of stuff, especially since cannabidiol became permitted in 2018? Tyler Carter: It isn’t something I’ve discussed with coaches. But really, I think it comes down to being your own person and making your own decisions. Coaches or anyone else can say whatever they want, but that doesn’t mean you have to listen. I have to be my own advocate. Coaches could be part of the conversation, but honestly, it’s on the athletes and we have to make those decisions. Question: Now that cannabidiol is permitted in sport, how well do you think most people understand the risk around CBD products? Tyler Carter: In my experience, I don’t think they fully understand the risks versus benefits. I don’t think enough people have done the research. And while I’ve heard there are benefits, the benefits nowhere near outweigh the risks for me. Question: Do you think the positioning of CBD products as natural perpetuates reduced vigilance around those products? Question: When you get close to competition are you especially vigilant about evaluating the products that may be prohibited in-competition? Tyler Carter: Oh, definitely. I mean, I like to think that I’m always very vigilant, but especially when you get close to something like the Paralympics. You are not just double checking, you are triple checking everything you’re doing. Tyler Carter: I think the biggest thing is to remember where you’re headed, where the end goal is, and the whole process to that. I don’t need a shortcut to get where I need to go. I find that hard work and making good decisions always pays off in the end.